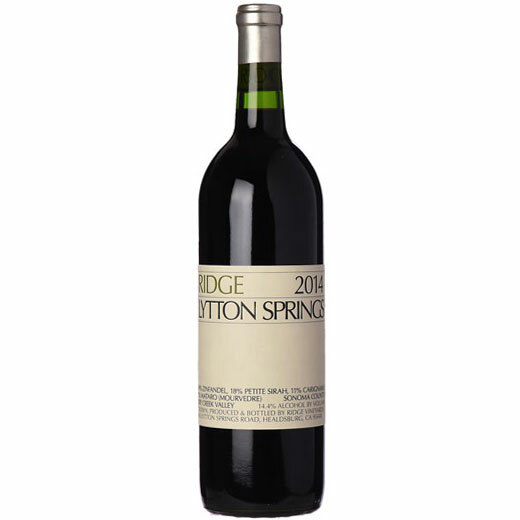 The 2014 Lytton Springs is another absolutely gorgeous wine…there appears to be plenty of complexity and depth hiding behind the acidity and tannin. Far from an easygoing Zinfandel, the 2014 Lytton is a wine to buy and cellar for at least a handful of years. The wine's richness, persistence and vertical intensity all lead me to believe it will be special in time. Black cherry, pomegranate, mint and sweet spices meld into the resonant finish. A kick of tannin from the Petite adds personality, something the 2014 has in spades.